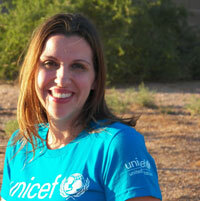 Helene Vallone Raffaele is Vice President of Direct Response & Integrated Monthly Giving for UNICEF USA. During her tenure, she has raised more than $700 million from individual donors and leads the largest small-donor fundraising program for the organization. She has developed innovative strategies to diversify fundraising and convert more donors into multi-channel and monthly supporters. In her current position, her aim is to achieve sustained growth in Monthly Giving by leveraging multiple marketing channels—a strategic priority for UNICEF. She is a contributing member of numerous international committees, giving her a global perspective on effective fundraising and engagement. From 2009 to 2012, Helene was Vice President of Direct & Interactive Marketing, responsible for managing all digital and direct response programs for UNICEF USA. In this role, she developed effective integrated fundraising and engagement strategies that leveraged social media, digital marketing, mobile technologies and traditional direct mail practices. Prior to this, she served as Managing Director of Direct Marketing, overseeing Donor Data Management and Donor Relations. She is also responsible for the development and implementation of several notable campaigns including Direct Response TV, Inspired Gifts, Workplace Giving and Hispanic Marketing. Before joining UNICEF USA in 2000, Helene held leadership positions in the private sector in marketing, strategic planning and financial analysis. She is a frequent contributor to industry publications, national newspapers and a dynamic speaker at nationwide conferences aimed at educating fundraising professionals. Helene is a graduate of the University of Massachusetts. Her professional memberships and directorships include the Who’s Who Worldwide, Association of Fundraising Professionals and the Direct Marketing Association.